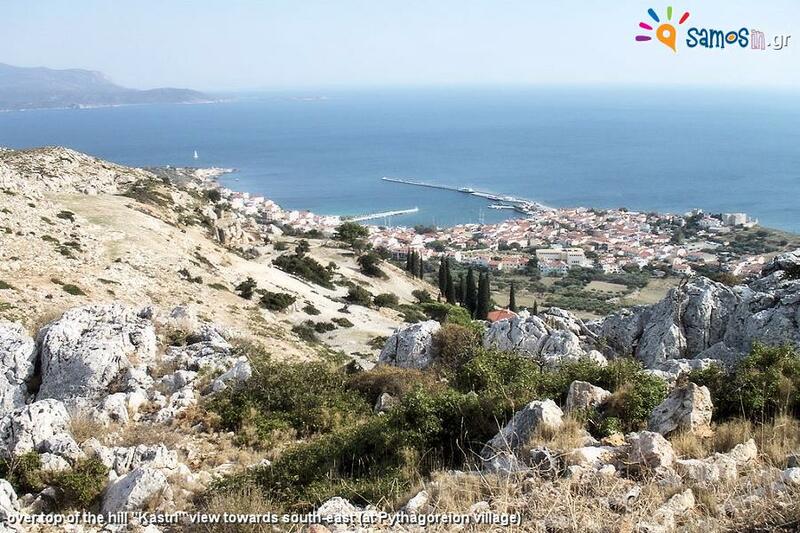 The Fortification wall of Samos ancient city had a total length of 6.430 m and enclosed an area of 1,2 km2 in which the city was organized. The higher parts of the area, which is enclosed by the walls, was uninhabited and there were only workshops and simplistic temples or used for defense. 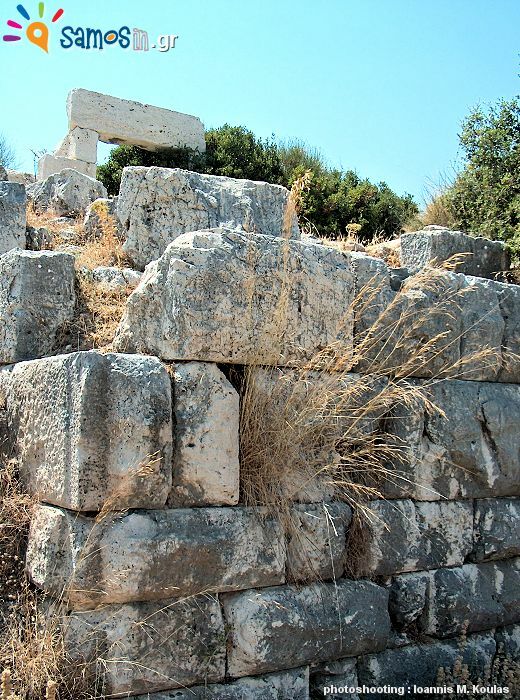 The Fortification wall started from the eastern pier of the ancient city port (today’s Pythagoreion), continued north of the city on the hill “Kastelli” then follow the ridge of the “Kastri” hill (above the Tunnel trench) sloped down to “Glyfada” and ended at the coast, close to the ancient stadium at west of the city. 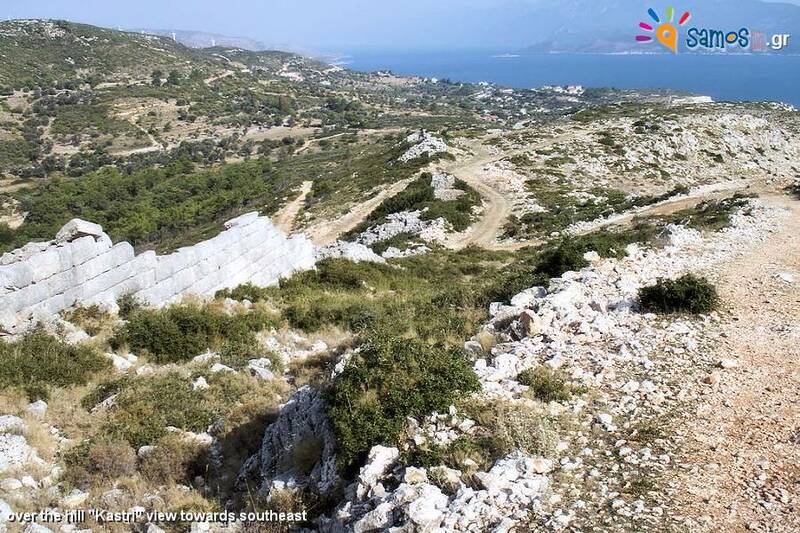 Limestone was used for its construction, from a quarry (still visible) above the “monastery Spiliani” s well as from the ravine of “Katarougas”. The higher parts of the walls were made of adobe bricks (bricks of clay, unbaked). Today only very few sections of the wall remain (as it is localized on the map), some even to the north of the city, as well as a tower with a part of wall at the north of “Glyfada” lake. 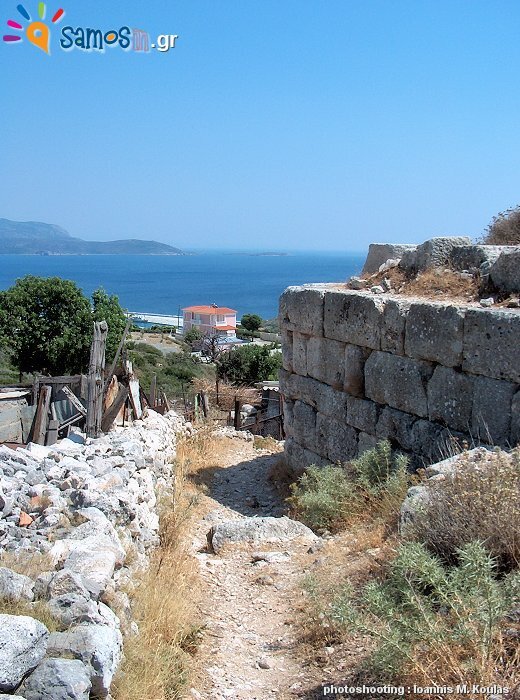 The fortification walls to protect the ancient city of Samos they had made in three phases. It is not clear when the first phase of the construction of the walls begun, still it is attributed to the Polycrates era in the midle of 6th c BC, perhaps a little earlier, since the two major works of that time (Tunnel of Eupalinos and the port) they had not purpose without fortification walls. The walls of this period were constructed using Polygonal masonry technique (namely the sides of the stones are polygonal with perfect adjustment between them). The higher parts of the walls were made of adobe bricks (bricks of clay, unbaked). 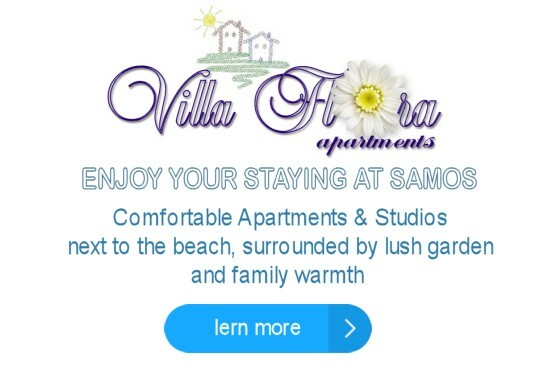 The adversity between Samos and Athens, during 439 BC and the defeat of Samians, resulted to the destruction of the walls, down to their foundations and to the exile of Samian residents. 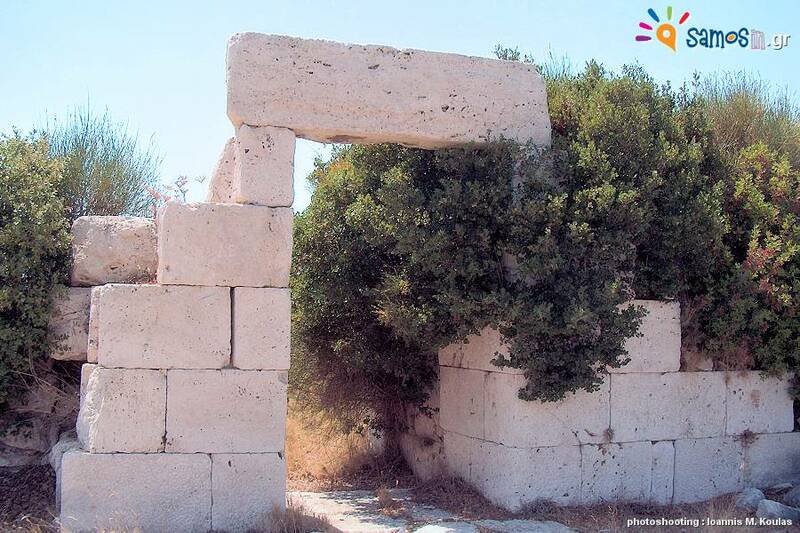 When the Samians returned from exile, around 300 BC, they rebuilt the wall (second phase) with ashlar masonry (namely layers of rectangular stones) and with 40 powerful towers, according to new methods of fortification. 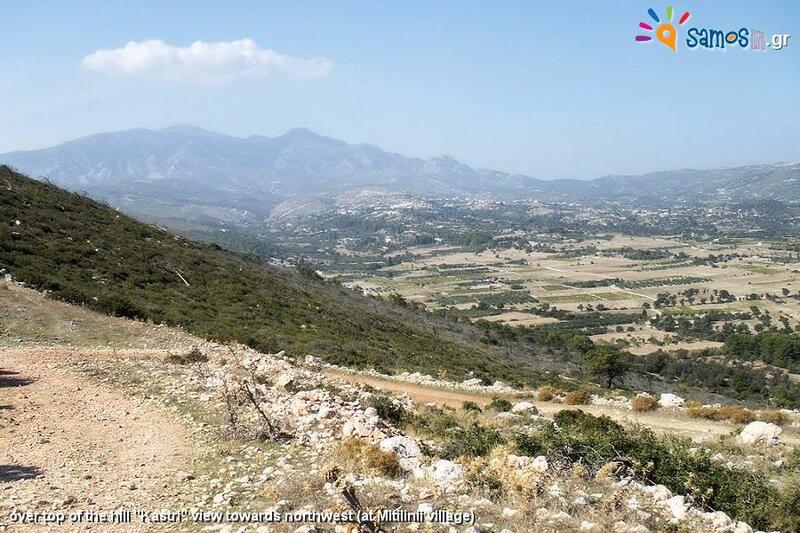 In this phase thse were the most impressive fortifications and still exist today at the ridge of the hill “Kastri” and on the west side of “Glyfada”. 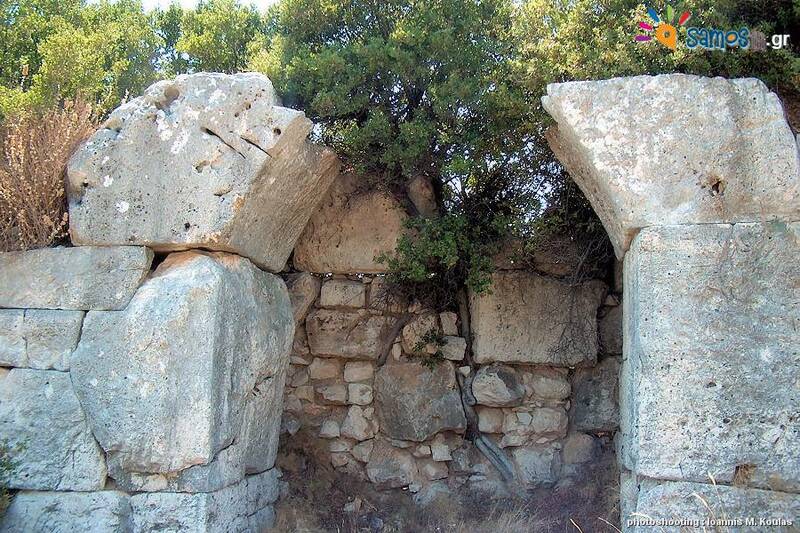 A third phase, with limited repairs, according to pseudo-polygonal masonry technique, dating after 200 BC, when Samos was used as a naval base of the Ptolemies and of Rhodes fleet. 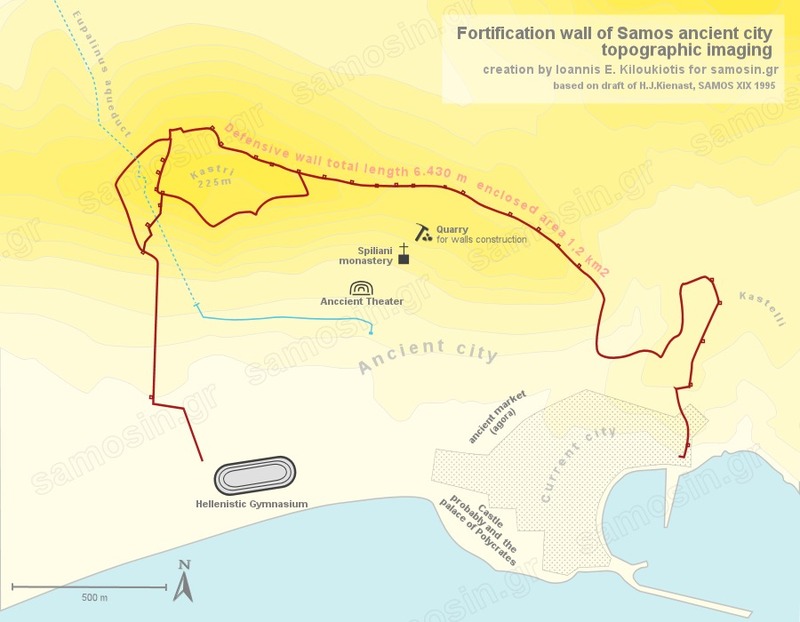 Fortification wall of Samos ancient city, classified World Heritage Monument by UNESCO since 1992 integration within the wider region of Pythagoreion.